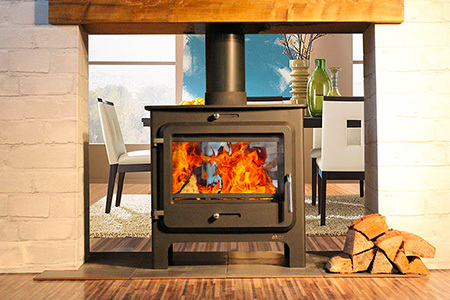 Looking to see lots of fire, then the Contura 26 could be the stove for you. 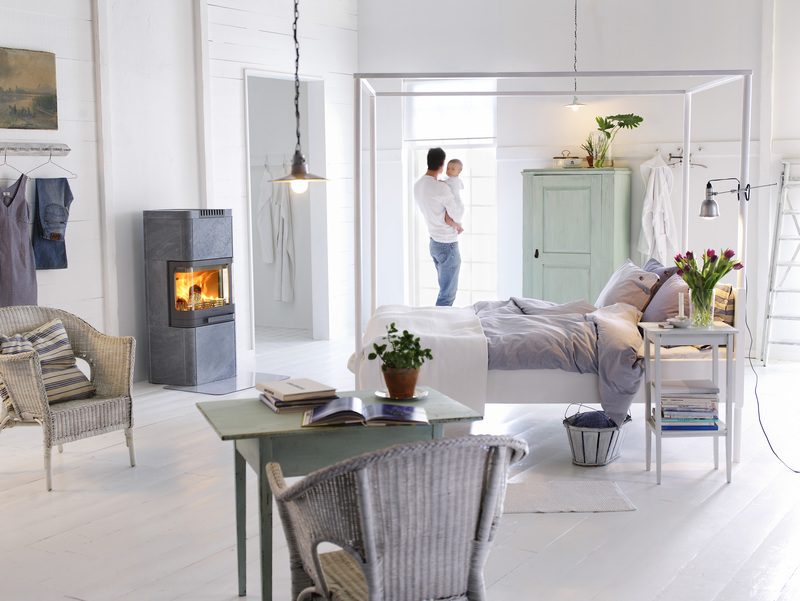 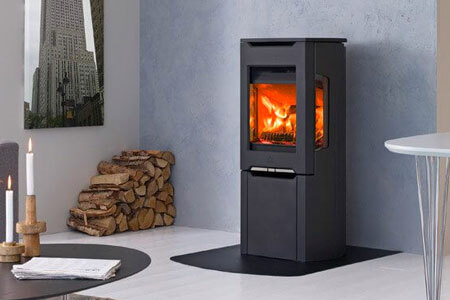 The Contura 26 is for those of you who want to see a lot of the fire and want to be really warm and cosy. 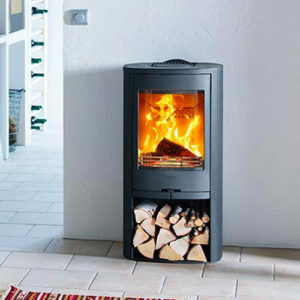 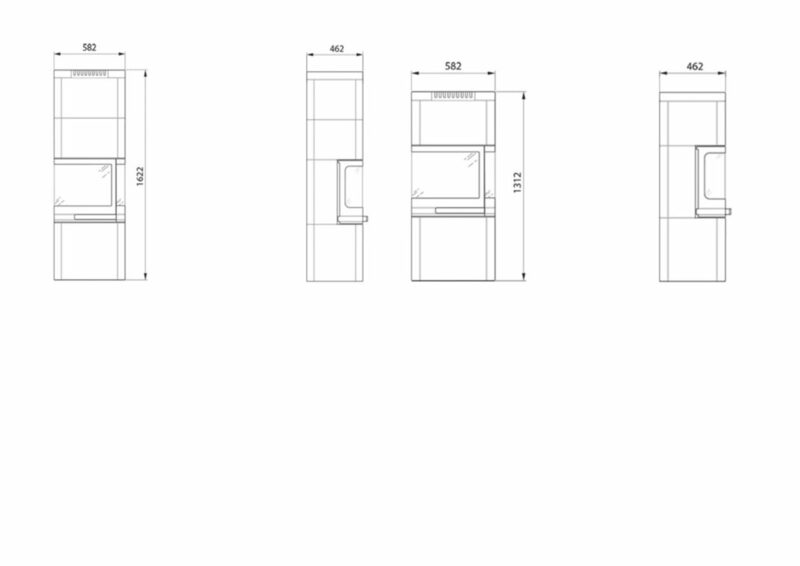 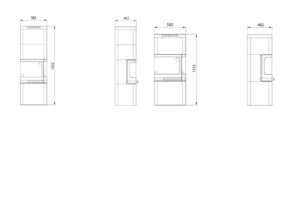 The stoves in the series have curved glass and the casing conceals a heat tank of efficient heat retaining powerstone. Contura 26 is available with a gloss white or matt sand-coloured tile casing and with heat retaining, naturally patterned soapstone. 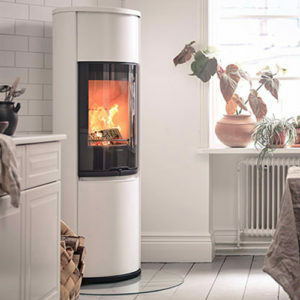 The heat tank is included in the low models and is optional for the tall models. 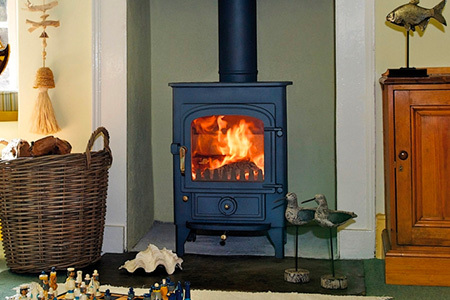 The high model gives a real heating boost to the house. 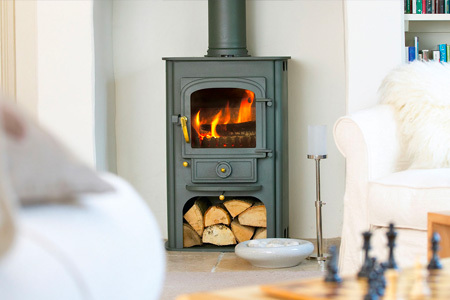 The optional extra heat tank gives a long cooling period. 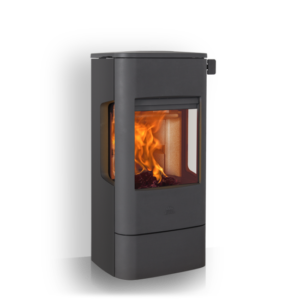 The low models are also suitable for when large areas need to be heated. 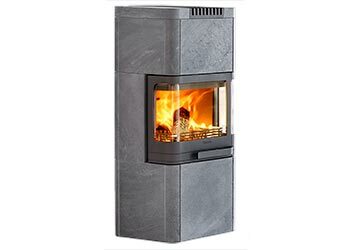 This model occupies a small area but provides the pleasant feeling of a tiled stove. 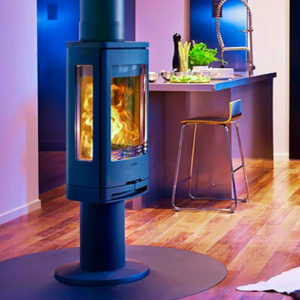 Thanks to the large glass areas, the flames can be seen from several directions. 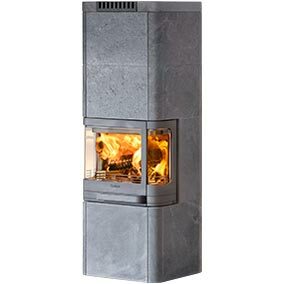 The heat tank in powerstone retains heat efficiently.